It is happening...3D printed turbos - Miata Turbo Forum - Boost cars, acquire cats. Yes but how strong is it. The main problem with 3d printing has been that its very porous which makes it very soft. 3d printing is a fairly generic term, which covers a broad array of processes. SLM (sometimes incorrectly lumped in with SLS), is a process which produces extremely high quality parts out of metal, with low porosity and excellent surface finish. Given that this is Koenigsegg, I'd be surprised if the turbine housing wasn't strong enough to balance the entire city of Ängelholm on top of it, with virtually no chance at all of it exploding and killing everyone while it's just innocently sitting there on the workbench. So is this how BW made Soviets first 2 EFR's? Are those precision centersection and compressor housings still? My screen is too tiny to see. Where the **** have I been? Last I knew 3D printing was for plastic parts only, or plastic prototypes of parts that would eventually be cast in metal after the prototype was proven to fit where it needed to be installed! They use very different methods of 3D printing for stuff like this. Titanium can be 3d printed by sintering together thin layers of the material using a laser. The reason why you don't hear more about SLM/SLS in the main-media is because of cost - it's unobtainium to the average consumer. Cost has relegated it to mostly med-space (for implants) or for experimental development backed by lots of $$$. Last time I spoke to a vendor, titanium SLM prints were running about $120 per cubic centimeter for a high res print. I'll have better estimates soon since I'm currently designing an engagement ring to be printed - the pitfalls of dating a nerdy designer (no diamonds, honey .. just SLM platinum). Not turbos but 3d printing. Cooolio. My mind is blown. That is so rad. Remember the movie "The fifth Element"? Does this mean soon I can print myself my very own Mila Jovovich? Meh Christina Hendricks is where its at. Printed turbos? Nah, 3d Printed cars. Looks ugly but it's the achievement that counts. I've actually been working in Additive Manufacture (engineers can't take something called "3D printing" seriously) on the side for a little while now. Selective laser melt 3D printing is the future. The systems that are available today can print a near net 6AL-4V Ti part that is ~95% the strength of a forged part, then finish machine it without a human ever touching it. The technology exists today to print a set of connecting rods at the track overnight after blowing the motor up in practice, and assemble a motor in the morning before qualifying. This will revolutionize the way people buy spares or the way race teams operate. Imagine only having to bring a car and a magic box full of titanium powder to the track, yet still having your entire pile of spares at your fingertips. There are still hurdles to clear, of course, but the Replicator in Captain Picard's Ready Room isn't that far off, and I think that ****'s cool. Quickparts came by the office the other day. Next up: Y8s discusses why replicator technology should be banned because it's contributing to the obesity epidemic in America. Last edited by Joe Perez; 09-12-2014 at 10:24 AM. 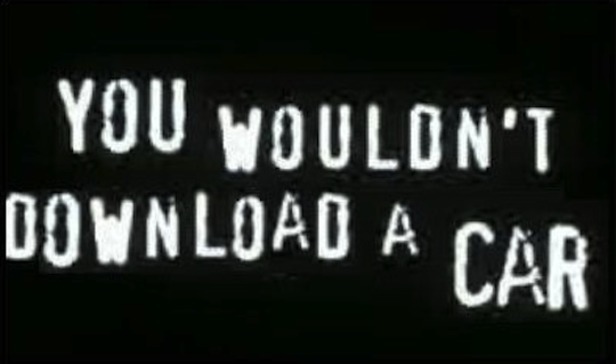 **** YOU RIAA I'M TOTALLY DOWNLOADING A CAR! For the most part, laser melt technology uses a powder bed technique where a layer of powder is rolled over the top of a bed plate, and the laser melts the bits you want to keep, then the bed drops 1 layer thickness, and the process repeats. You can load effectively any plastic with any filler, liquid or solid like this. I used chopped glass fiber reinforced nylon for a project last year, but you could easily use much less mundane stuff. I saw a hybrid rocket thruster last week that a Penn St grad student designed that was printed from a carbon microsphere reinforced polyamide. It was strong enough to contain nitrous oxide vapor pressure, and temperature resistant enough not to eat itself through an 8 second continuous burn. Plus it was printed in 1 piece, and fit inside a 100mm cube, and weighed under 1kg all up.